Heading in to the post Super Bowl week there was a good deal of anecdotal information suggesting that the betting handle on the Los Angeles Rams vs. New England Patriots game could set a new record. In contrast to the miserable game itself and the flatlining TV ratings there was considerable optimism among Nevada bookmakers over the betting interest in Super Bowl LIII with most indicating that handle was up over last year. 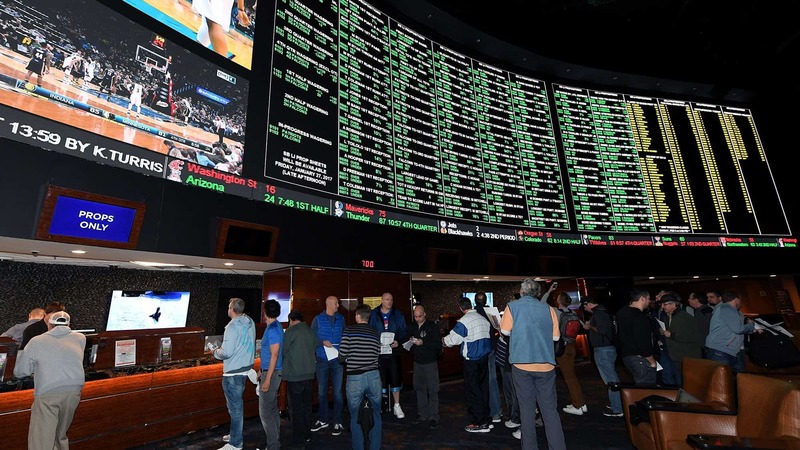 In the end, that wasn’t the case–the Nevada Gaming Control Board has just released the official tally for Super Bowl LIII showing that betting on the game was fairly strong but short of last year’s all time high. The Nevada Gaming Control Board reported that $145.9 million US was wagered on Super Bowl LIII at the Silver State’s 200 sportsbooks. Of that amount, the ‘house’ pocketed $10,780,319 for a hold percentage of 7.4%. Last year’s shootout between the New England Patriots and Philadelphia Eagles saw a record $158.5 million bet at Nevada sportsbooks though the hold percentage of 0.7% was among the lowest in history. Sportsbooks won only $1,170,432 despite the record setting handle. So was it a good year for Nevada sportsbooks? It depends on your spin. On one hand, it was an 8% decline in betting action year over year. That’s the largest in over a decade and more significantly one of the few revenue declines since the end of the ‘great recession’ that gutted Nevada’s gaming industry. Since 2010, there was only one other year in which the Super Bowl didn’t experience an increase in betting handle (2015). That’s the ‘what’ but the ‘why’ is likely a confluence of factors. Look for analysis of that in a forthcoming article. In the ‘glass half full’ view, the hold percentage was decent meaning that the sportsbooks made money which is the general idea. It was nowhere near a record though it was more than the average hold of 7.1%. The record was set in 2014 when Nevada sportbooks earned $19,637,960 for a 16.5% hold percentage. For those of you scoring at home, there has only been two years since detailed records have been available where the state’s bookmakers lost money on the Super Bowl. Before the official figures were released there was some buzz that a new record could be set. MGM Resorts sportsbook director Jay Rood said immediately after the game: “The handle is going to be up there. It will probably be a 10 percent increase. If every (other book) was pacing the same way as us, it should set a record.” Some of the other big players in the Nevada sports betting scene including Caesars Entertainment and the Westgate (formerly the LVH, formerly the Las Vegas Hilton) reported higher handles than last year. At any rate, Nevada has to be much happier with the outcome of Super Bowl LIII than their counterparts in New Jersey. In New Jersey’s first year with legal Super Bowl betting the handle was $35 million but the state’s bookmakers lost $4.5 million for a hold percentage of -13.1 percent.